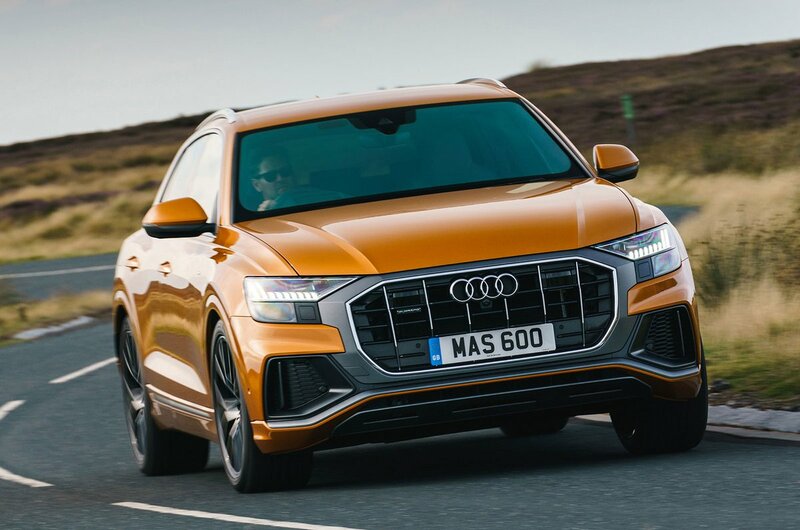 Audi Q8 Review 2019 | What Car? When it comes to car names, especially those from German brands, it's usually safe to assume that the bigger the number, the bigger the car. Take Audi’s SUV range. It starts with the Q2 small SUV, before moving up to the Q3 family SUV, the Q5 large SUV and the massive, seven-seat Q7 luxury SUV. So, now that there’s a Q8, you've probably got a good idea of where it fits in the line-up. 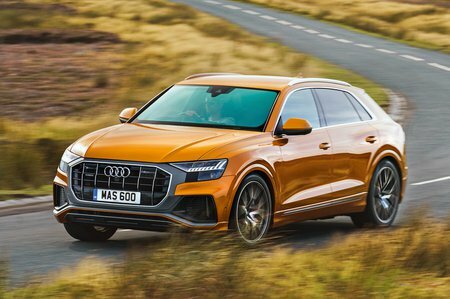 However, while it’s true that the all-new Q8 sits at the top of Audi’s SUV range in terms of prestige, it is in fact a little smaller than the Q7 on which it’s based. The Q8 also brings a sloping roofline, a wider stance and the most aggressive front end yet seen on an Audi. The result is a coupé-style luxury SUV that rivals similar fashion-conscious cars such as the BMW X6, Mercedes GLE Coupé and Range Rover Velar. So, is the Q8 a worthy addition to Audi’s line-up and how does it compare to its rivals? That’s what we’ll be exploring in this review. Or alternatively, to see how much you can save on a new Audi, click here.